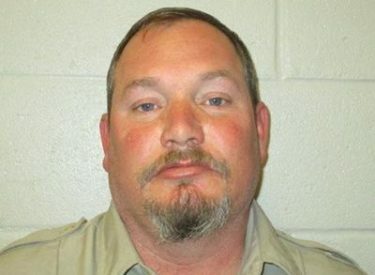 NOWATA, Okla. (AP) – An Oklahoma sheriff accused of stealing donated school supplies and using them for his election campaign has been charged with embezzlement. Oklahoma State Bureau of Investigation agents booked the 43-year-old Freeman at the Washington County jail in Bartlesville, about 40 miles north of Tulsa. Records don’t indicate that he has an attorney who might speak on his behalf. Authorities say an area Walmart donated about $25,000 in school supplies last month to Nowata County schools and left them with the sheriff’s office for safekeeping. They say Freeman took some of the supplies for his election campaign. County commissioners appointed Freeman earlier this year after Sheriff Rick Miller resigned amid mounting financial debts at the agency.